Patrick Meier is an internationally recognized expert and consultant on Humanitarian Technology and Innovation. His book, Digital Humanitarians, has been praised by Harvard, MIT, Stanford, Oxford, UN, Red Cross, World Bank, USAID and others. Over the past 15 years, Patrick has worked in the Sudan, Somalia, Kenya, Uganda, Liberia, India, Philippines, Kyrgyzstan, Nepal, Timor-Leste, Turkey, Morocco, Western Sahara, Haiti, Peru, Vanuatu, Fiji, Tonga and Northern Ireland on a wide range of humanitarian projects with a number of international organizations including the United Nations, Red Cross and World Bank. More details on LinkedIn. In 2010, Patrick was publicly praised by Clinton for his pioneering digital humanitarian efforts, which he continues to this day. He has been a Fellow at MIT, Stanford, Rockefeller Foundation, National Geographic Emerging Explorer, UBS Global Visionary, PopTech and UNICEF Humanitarian Innovations. His work has been featured in the New York Times, Washington Post, Wall Street Journal, CNN, BBC, NBC, UK Guardian, The Economist, Forbes and Times Magazines, New Yorker, NPR, Newsweek, Wired, Mashable, TechCrunch, Fast Company, Nature, New Scientist, Scientific American and elsewhere. His influential and widely-read blog iRevolutions has received more than 2 million hits. He tweets at @patrickmeier. Patrick serves as the Executive Director and Co-Founder of WeRobotics, which scales the positive impact of humanitarian aid, development and environmental projects through the use and localization of appropriate robotics solutions. These include aerial, marine and terrestrial and robotics. WeRobotics co-creates local innovation labs in developing countries (“Flying Labs”) where outstanding local partners gain direct access to the professional skills and robotics technologies they need to scale their impact. In the process, WeRobotics works with these partners to incubate local businesses that offer robotics as service. While at WeRobotics, Patrick also co-authored “Drones in Humanitarian Action: A Guide to the Use of Airborne Systems in Humanitarian Crises” available here. In addition, he authored the report “Humanitarian UAV Missions: Towards Best Practices” and wrote the chapter on Humanitarian UAVs in “Drones & Aerial Observation,” an important Primer published by the New America Foundation. On top of leading WeRobotics, Patrick presently serves as a consultant to Facebook, World Bank, Red Cross and Planet Labs. More details on LinkedIn. Previously, Patrick served as Director of Social Innovation at QCRI where he spearheaded both the design and development of the Computing Research Institute’s Next Generation Humanitarian Technologies powered by artificial intelligence, crowdsourcing and computer vision. Patrick and his team co-deployed Big Data solutions with international aid organizations to help them make sense of social media, pictures, videos, aerial imagery and text messages generated during and after major disasters. 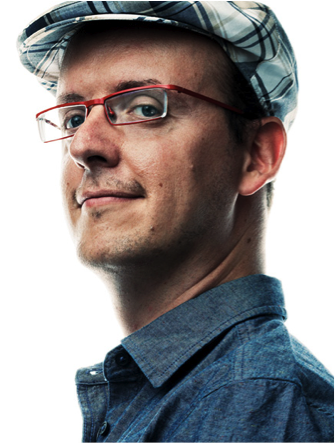 Prior to QCRI, Patrick co-founded and co-directed the Harvard Humanitarian Initiative’s (HHI) Program on Crisis Mapping and Early Warning at Harvard University and then served as Director of Crisis Mapping at Ushahidi, an African NGO ranked by MIT as one of the 50 most innovative and disruptive companies in the world. Patrick also co-founded the Digital Humanitarian Network (DHN) with the UN, which has been described as one of the most innovative humanitarian initiatives in the past 10 years. In addition, he co-founded CrisisMappers and the award-winning Standby Task Force (SBTF), both early and notable pioneers of digital humanitarian action. Patrick also co-founded and co-curated the International Conference of CrisisMappers (ICCM) for five years, securing sponsorships from ESRI, Google, IBM, DigitalGlobe, USAID & World Bank amongst other donors. In 2013, the UN formally requested that he join their humanitarian information management team in the Philippines to support response efforts in the wake of Typhoon Haiyan. The Category 5 Typhoon devastated the country and resulted in an unprecedented use of UAVs or Unmanned Aerial Vehicles (aerial robots). Shortly after leaving the Philippines, Patrick founded the Humanitarian UAV Network (UAViators) which actively promotes the safe, responsible and effective use of UAVs in humanitarian settings. In 2015, he spearheaded the World Bank’s UAV mission in response to Cyclone Pam, a Category 5 Cyclone in the Pacific. He was subsequently invited by the UN to coordinate UAV teams responding to the Nepal Earthquakes. He later conducted a joint disaster recovery UAV Mission in Nepal to support rebuilding and preparedness efforts. Patrick organized and co-taught the first ever professional UAV trainings in Europe, Asia and North America for established humanitarian organizations. He also co-organized the first Humanitarian UAV Experts Meeting held at the UN Secretariat and ran the first International Policy Forum on Humanitarian UAVs, which was hosted by the Rockefeller Foundation. The Forum developed guidelines to inform the safe, responsible and effective use of UAVs in a wide range of humanitarian settings. Patrick is an internationally sought-out speaker, having given well over 200 talks in more than 20 countries across 6 continents. He has spoken at the White House, UN, Google, Twitter, Harvard, Stanford, MIT, Skoll World Forum, Club de Madrid, Mobile World Congress, Web Summit, PopTech, National Geographic, Thinking Digital, TTI/Vanguard, SXSW, multiple TEDx’s and leading international UAV conferences. Patrick served on the Innovation Team of the United Nations Secretary-General’s World Humanitarian Summit (WHS) and often serves on judging panels for international competitions, which have included GSMA’s Global Mobile Awards, UAE’s Drones for Good Award and the Airbus Cargo Drone Challenge. Patrick is also a distinguished scholar with a PhD from The Fletcher School of Law and Diplomacy, a Pre-Doctoral Fellowship from Stanford University, an MA from Columbia University and was a visiting student at UC Berkeley. In addition, Patrick was a Research Fellow at the Peace Research Institute, Oslo (PRIO) and holds certificates in Complexity Science from both the Santa Fe Institute (SFI) and the New England Complex Systems Institute (NECSI). He has taught several professional, graduate and undergraduate courses. CV Available Here (PDF – updated Q1 2017). 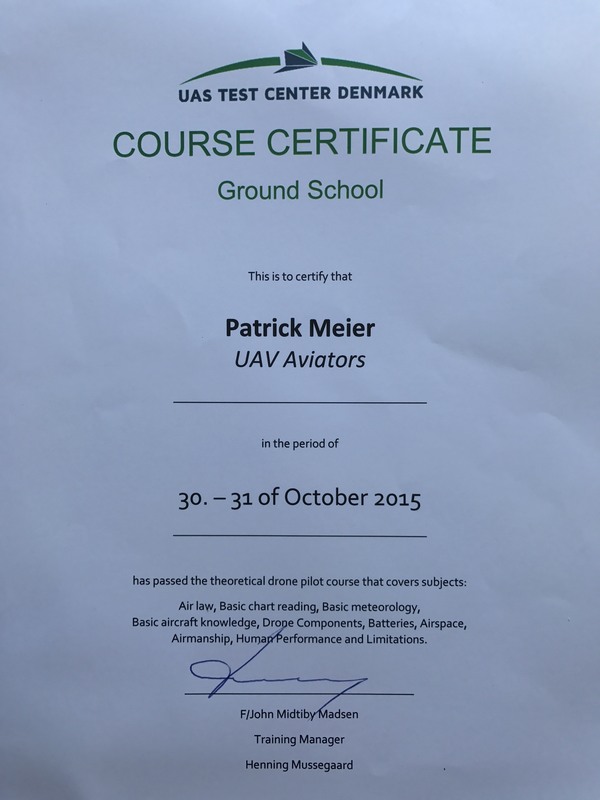 Drone certificate available here. Patrick’s photography: A President Emerita of New York’s prestigious Museum of Modern Art (MoMA) once described Patrick’s aerial photography of Italy as “fascinating,” “wonderful,” and “like a montage by many a contemporary artist.” His photography has also been featured by National Geographic. All images here are copyrighted by Patrick Meier. They may be used freely for non-commercial purposes only and only if they are clearly credited to Patrick Meier and linked to iRevolutions.org. Hi, am highly impressed about you biography. anyway, i am am a second year MSc. Geomatic Engineering Student at the Kwame Nkrumah University of science and Technology. I want to divert into software programming so i could use that knowledge to write applications for GIS and GPS works. Can u please advise me? thanks. Thank you for what you are doing! I am not as educated as you all but am still very interested in justice and rectification of injustices in the world. Hi, am highly impressed about you biography. anyway, i am am a second year MSc. Geomatic Engineering Student at the Kwame Nkrumah University of science and Technology.I want to divert into software programming so i could use that knowledge to write applications for GIS and GPS works. Can u please advise me? thanks. I think it would be helpful for you to put your name on this bio page. Pingback: Preventing Misinformation from Spreading through Social Media | Uni-za.com site for your Life. Pingback: Rising Voices » Could Social Media Unlock Disaster Relief? Pingback: Getting a handle on it: Twitter and disaster relief in fYR Macedonia | Voices from Eurasia - We help build better lives.